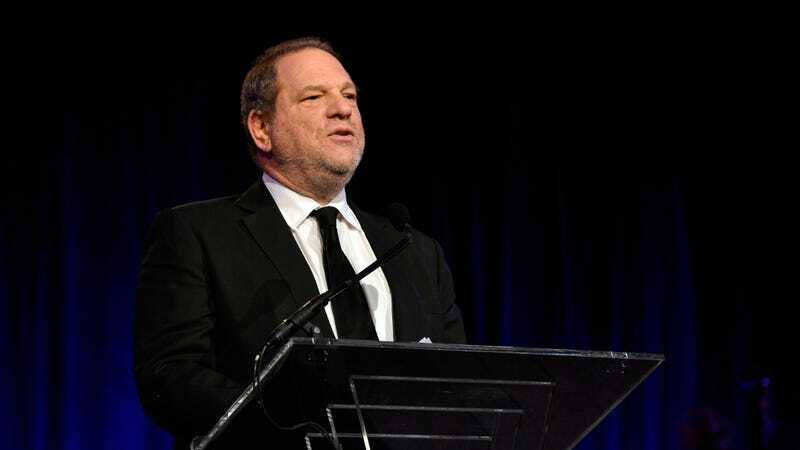 In an interview with The Financial Times (via The Hollywood Reporter), a woman who used to work as Harvey Weinstein’s assistant at Miramax’s London office several years ago has broken a non-disclosure agreement she signed so she could discuss a supposed history of cover-ups that have prevented Weinstein staffers from talking about his alleged history of sexual harassment and abuse. The woman, Zelda Perkins, says she “endured sexual harassment” while working for Weinstein, but she decided to finally quit when he allegedly assaulted one of her colleagues. Perkins and this unnamed woman went to a lawyer with their claims, and the lawyer told them to try and get a settlement from Weinstein and Miramax. Perkins says she initially wanted to expose Weinstein right away, but she was told that a court wouldn’t take her word against his “with no evidence” and that Weinstein would “destroy” her and her family if she tried. Perkins and the colleague took the settlement because of that, but not before demanding that Miramax set up a “complaints procedure” that would’ve forced the company to notify Disney—which owned Miramax—if Weinstein settled any other harassment complaints within two years. That apparently didn’t happen. Weinstein, for the record, has denied the accusations from Perkins and the unnamed colleague.